In 2015, CC Corporation`s datacenter caught on fire destroying "The World". By splicing in data from what would have been another project, CC Corp. was able to rebuild the game. In 2016, "The World R:2" was released. .hack//Roots covers the time Haseo spent with Shino and Ovan in the guild known as the Twilight Brigade, before the .hack//G.U. PS2 games. Watch .hack//Roots Episodes Online at Animegg.org. 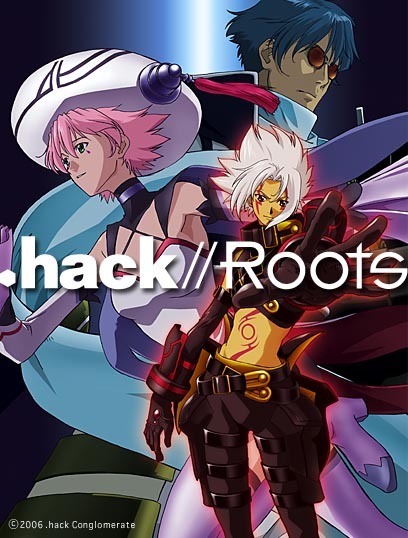 .hack//Roots is available in High Definition only through Animegg.org. Choose an episode below and start watching .hack//Roots in Subbed & Dubbed HD now.